The still unresolved, "one rank, one pension" (OROP) agitation has exacerbated the lack of trust between the military, on the one hand, and politicians and bureaucrats, on the other. In a double defeat for the government, it will pay out at least Rs 18,000-22,000 crore for a settlement, but still leave most ex-servicemen grumbling. That is because the government has misunderstood the nature of the OROP agitation: it is less a demand for money than an expression of outrage at being discriminated against vis-à-vis the cordially disliked Indian Administrative Service (IAS). Many veterans have told me they would accept the status quo on pensions, provided OROP benefits are also withdrawn from the IAS and the Indian Foreign Service (IFS). But the tiger has tasted blood, given the strong media and public support during the OROP agitation. Already another (morally and logically justifiable) demand is taking shape with armed forces discussion groups buzzing with another long-standing grievance bearing the clumsy moniker of "non-functional upgradation". NFU, which the government has denied the military, was granted to numerous Group-A central services like the Defence Research & Development Service, Border Roads Organisation, Indian Ordnance Factory Service, et al. It is only a matter of time before the NFU demand is raised more strongly. In simple terms, NFU means that when an IAS officer from a particular batch (a batch includes everyone who joins service the same year) is promoted to a certain rank (say deputy secretary), all her batchmates from Group-A central services automatically start drawing the pay scale of deputy secretary two years after her promotion. This continues all the way up the line. The term NFU implies that, even as those officials continue to discharge their earlier functions, they are upgraded to the higher pay grade of their IAS batchmate. Effectively this means that every central services officer makes it to top pay grades, albeit with a two-year time lag behind the IAS. You might wonder why the IAS, which safeguards its own interests well by virtue of making the rules, has not awarded itself NFU cover. That is because it does not need it; every IAS officer anyway reaches the government's highest grade of pay, called the "apex scale", which brings in a salary of Rs 80,000 a month. Even when an IAS officer fails to get empanelled for promotion by the Centre, she continues getting time-scale promotions in her state cadre. When she reaches the rank of "additional chief secretary" in the state cadre, which all of them automatically do, she enters the apex scale. The IFS benefits from a similar system. Flashpoints in the Himalayan region are rising. The US Defence Department has expressed caution about China’s increased troops build-up along the Indian border as well as the likelihood of China establishing “additional naval logistic hubs” in Pakistan.1 From the Chinese perspective, the spectre of jihadi terrorism is spreading across Xinjiang province. The monks in Tibet continue to resist China’s military suppression. Pakistan, for its part, continues to sponsor terrorism in Kashmir with China’s tacit support. In Nepal, the vortex of the political crisis refuses to stop. Conventional wisdom had the Indian Himalayan belt being at least peaceful. Conviction also explained that freedom of religion (Buddhism) has ensured stability on this side of the mountain range. This sadly is no longer the case. The entire belt from Tawang to Ladakh has been subject to a string of incendiary events threatening to pitchfork the region into crisis. As part of this contract, Thales is doing a transfer of production to integrate 260 compact LWIRthermal imaging (TI) CATHERINE into BELTECH’s TI Sights that will be installed on the T90 battle tanks of Indian Army. The CATHERINE family is the most complete range of cameras available on the world market for target acquisition and weapon engagements by land vehicles. Thermal imagers allow gunners, commanders and land recce observers to see by night and by day in adverse conditions. 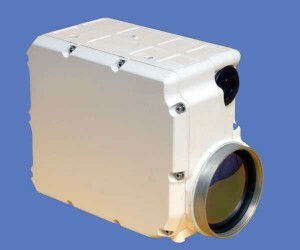 More than 7000 CATHERINE cameras are in service on-board 30 types of fighting vehicles globally. The CATHERINE thermal imager is already in service with the Indian Army and this new order consolidates Thales leadership in optronic technologies in India. The transfer of production of CATHERINE contributes to the “Make in India” policy of the Indian government. Thales remains at the forefront of supporting its customers everywhere in their defence modernisation. Indian Prime Minister’s much publicized ‘Clean India Campaign’ has been widely welcomed in the country, however, many Indians think that this programme is yet to make significant impact at the ground level. Now, the government of India has announced that 50 towns in India would be made 100% clean by March 2017. The programme target includes open defecation free conditions through construction of individual and public and community toilets; house-to-house collection of garbage and 100% processing of the same through solid waste management plan besides spot penalty for littering. Viewing the progress during the last eighteen months, one cannot be blamed if she/he would think that such target to clean 50 cities 100% by March 2017 is rather very ambitious and would doubt whether it would be achieved at all. Such doubts and misgivings arise since the Clean India programme so far has laid stress largely on collection of waste material and not so much on profitable utilization of waste material or treatment and disposal of waste material in an eco friendly manner. It appears that India is yet to realize that waste is potential source of profit. There has been a vitriolic public debate in Pakistani media that includes accusing India for attempting to sabotage the sale of F-16s. What are the issues and where lies the problem? Will Pakistan succeed in getting the F-16s from the US? F-16 fighter aircraft have become the latest bone of contention in the volatile Pakistan-US relations. During the last month, there have been a series of statements, demands, counter demands, threats and carrots, both from the US and Pakistan. The sale of eight American F-16s to Pakistan has been plaguing the relations between the countries, primarily due to American demands on Pakistan “to do more in Afghanistan”, differences within the US between the State Department, White House and the Congress, and (more importantly) who would foot the bill for the sale. While the first two seem to be getting addressed since February 2016, the sale is stuck with the last question: Should it be paid by the Pakistanis in full ($700 million) or be subsidised by American aid. Pakistan is willing to pay up to $270 million for the eight F-16s, but wants the rest to be covered by the US Foreign Military Funds. The F-16s, now manufactured by Lockheed Martin, is state-of-art, all-weather multi-role fighter aircraft. Pakistan has placed an order for eight such aircraft, primarily to augment its air power, obviously vis-a-vis India. As a country, Pakistan has every right to structure its threat perceptions and pursue strategies to address them. In case of any military confrontation with India, Pakistan would need a quick strategic push in the initial days/hours; air superiority is essential for such an early but decisive strike vis-a-vis India. Else, the sheer size of Indian military machinery would bulldoze Pakistan in any long-drawn confrontation. If Pakistan has to lose any initial advantage, it would then have to fall back on nuclear options, which is a risky proposition. Pakistan's need for F-16s is obvious. But the cost of eight F-16s ($700 million) is substantial. Twelve of our pilots had to eject in West Pakistan during the war. Two of them were repatriated earlier than the others because of ill-health and injuries. Three tried to escape from the POW camp in Rawalpindi on 12 August 1972. They made an excellent attempt but unfortunately were detected just about three miles short of the Afghan border. Flt Lt Harish Sinhji, of No. 29 Squadron was one of them. On the afternoon of 5 December, 1971 he was flying from Sirsa towards Suleimanke. Flt Lt Dawar was number one, he was number two. Short of Suleimanke, they turned north across the Sutlej and climbed down looking for oppor­tunity targets as they had been directed by the Signals Unit. Dawar star­ted a left turn, facing west and Harish followed. Harish heard, and felt, an explosion. His aircraft lurched and went on to its back. There was a tremendous tearing sound. The controls jammed. He pressed the rudder manually with all his might, the aircraft levelled out but then went into a shallow dive. He was about 800 m above the ground over Haveli, with heavy ack-ack. So he tried to delay ejection and saw his leader, already fairly far away, going southwards, a speck in the sky. Harish called out over the radio, “Dawar, I am ejecting.” No answer. The radio was dead. Harish probably blacked out for a while. When he regained cons­ciousness, he felt he was dreaming— a “dream of a golden coloured cotton field — fields of cotton glowing in the afternoon sun”. Perhaps it was a movie? Why was he feeling terrible? Oh no! He was jerked back into full consciousness; This was war and he was in Pakistan. Above him his parachute billowed and down below— he saw a big column of dust and smoke— that was his aircraft. As he came closer to the ground he saw two trees in the field looming larger and larger. Desperately he tugged the cords to manipulate his parachute away from them. He missed the trees but not the chute. The big orange and white piece of silk hung on one tree, very conspicious, and he landed. His left leg started hurting but the pain was not unbearable and his back seemed unhurt. The military and scientific leadership of Pakistan has given clear signals that tactical nuclear weapons have a vital role in Pakistan’s nuclear weapons policy. Developed to lower Pakistan’s nuclear threshold, these weapons may further deter India from launching a conventional strike to punish Pakistan for its sub-conventional war against India. This has led to a debate on the possible doctrinal responses that India could adopt to counter Pakistan’s tactical nuclear weapons. India could either make its current doctrine of massive retaliation more credible by appropriate signalling or it could revise the doctrine and develop its options of proportionate retaliation. Considering the limitations of both these options, the article argues for developing a doctrinal response that prescribes neither proportionate nor massively disproportionate retaliation. Is China’s haunting history behind its Military Modernization? China’s military was crushed in a series of defeats by a vastly smaller, but technologically superior, British force. The consequences of the conflict—China’s crushing defeat—were felt far and wide. Beijing’s geostrategic position in Asia was weakened dramatically. China’s military was crushed in a series of defeats by a vastly smaller, but technologically superior, British force. Chinese military technology, tactics and strategy were not on par with the West’s. This defeat sparked the first of what has been referred to as the “unequal treaties.” Five ports were opened to foreign traders, and the British colony at Hong Kong was founded (which would not be returned until 1997). It’s that time of year again, and the end of an era. On Friday, the Obama Administration released the last annual Pentagon China report under its watch. 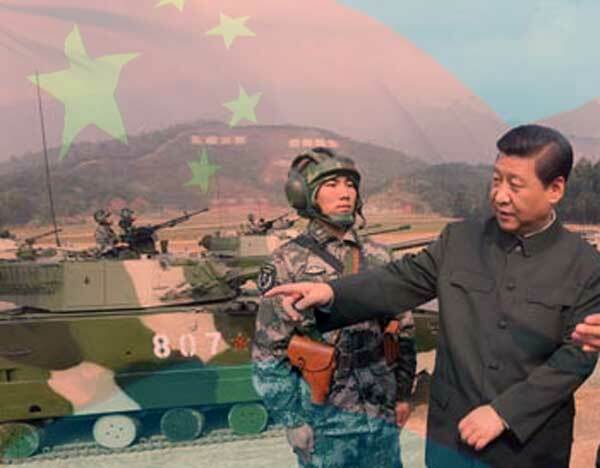 Working the China military observers’ graveyard shift this weekend, I published analyses of the report’s overall content, and its key omissions — namely, any mention whatsoever ofChina’s maritime militia of “little blue men” trolling for territorial claims. Here, I’ll focus on the report’s greatest comparative advantage: insights concerning Beijing’s military technology and its applications that no other public source offers with such official backing or reliable details. HONG KONG — Chinese authorities are quietly scrutinizing technology products sold in China by Apple and other big foreign companies, focusing on whether they pose potential security threats to the country and its consumers and opening up a new front in an already tense relationship with Washington over digital security. The reviews are run by a committee associated with the Cyberspace Administration of China, the country’s Internet control bureau, they said. The bureau includes experts and engineers with ties to the country’s military and security agencies. While other countries, including the United States and Britain, conduct reviews of some tech products, they usually focus on products that will be used by the military or other parts of the government that are concerned with security, and not on products sold to the general public. The Chinese reviews stand out because they are being applied more broadly, including to American consumer software and gadgets popular in China, the people briefed on the reviews said. And because Chinese officials have not disclosed the nature of the checks, both the United States government and American tech companies fear that the reviews could be used to extract tech knowledge as well as ensure that the United States was not using the products to spy. Recommended by May 19 marks the 100-year anniversary of the Sykes-Picot Agreement, signed by diplomats Sir Mark Sykes and François Georges-Picot to help Britain and France divide the lands of the disintegrating Ottoman Empire. Sykes-Picot began to set the boundaries of what became countries like Iraq and Syria—and that’s been tragic for their citizens. In the past half century, Iraq has passed from decades of Sunni dominance under Saddam Hussein through a war with Iran, a war with the U.S., years of sanctions, another war with the U.S., a Shiʻite-dominated government, a Sunni insurgency and general misrule. Oil is flowing again, offering hope that political progress might finally bring lasting economic gains. But for now, the political dysfunction and violence continue. Before its civil war began, Syria was home to 22 million people. More than half of those people have been forced from their homes. Some 470,000 have been killed, 4.8 million have fled the country, and another 6.5 million are internally displaced. The country’s economy is less than half its prewar size. Despite pledges from President Obama and top U.S. officials to “accelerate” the war against ISIS, the Pentagon admitted Monday that it had retaken only five percent of ISIS-held territory in Iraq in the past five months. President Obama announced at the Pentagon in December that 40% of ISIS-held territory in Iraq had been recaptured by Iraqi security forces backed by thousands of airstrikes from the U.S.-led coalition, a number that officials repeated for five months. On Monday, Pentagon Press Secretary Peter Cook said 45% of ISIS territory had been taken back in Iraq, or a modest 5% gain from December. Cook said 16-20% of ISIS-held territory had been taken from ISIS in Syria, a similar estimate given in January. Director of National Intelligence James Clapper said last week that it was unlikely ISIS would be pushed out of Mosul, Iraq’s second-largest city, during the Obama administration. Can America Ever Escape Its Failing Foreign Policy? America’s current foreign-policy framework has produced a string of failures. Iraq and Afghanistan were expensive messes; Libya and the Balkan interventions, destabilizing wars of choice; we’re plainly overextended in Europe and can never seem to realize our long-promised pivot to Asia. Many of our allies carp about the need for U.S. “leadership” and growing threats in their neighborhoods while spending pittances on their own defense; at the same time, the publics in the same countries appear to resent our efforts to defend them. We have amassed all the downsides of empire, while seeing fewof its benefits. And within many Washington foreign-policy circles, the solution to the problems our approach has created is to double down. Indeed, while most public discussion has focused on the shortcomings of one major party’s candidate for the presidency, few seem concerned that the other major party is poised to nominate a candidate who was an enthusiastic cheerleader for all of the serious foreign-policy blunders I listed above. Perhaps the United States simply has no alternative to its current strategy. Not so, argues Stephen Walt. In a keynote address to the Charles Koch Institute’s Advancing American Security conference today in Washington, D.C., the Harvard professor made a bracing case for a different direction, a U.S. foreign policy far more restrained than today’s adventurism yet far more engaged than the isolationism of, say, Sakoku-era Japan. By remaining aloof from many of the world’s friction points, the United States would be able to invest more in its own affairs, building a firmer foundation of national power. In Walt’s view, the United States enjoys advantages that almost no other great power in history has had. We are separated from all other major states by two vast oceans, and enjoy unquestioned supremacy in our entire hemisphere. We have the world’s largest and most dynamic economy, which underwrites the world’s strongest military. We can resort to nuclear weapons in the event that all these fail to protect us. We face few serious existential threats from other states. Warning that withdrawal from the European Union could threaten the peace of Europe, Prime Minister David Cameron claimed “Isolationism has never served this country well.” This echoes an old theme that American presidents regularly invoke. President Barack Obama’s National Security Strategy of 2010 stated, “America has never succeeded through isolationism.” Cameron and Obama are right. Isolationism has never served Britain well, or the United States. Mainly because neither state has ever really practiced isolationism. At least, not according to the fictitious mode of behavior that the accusation suggests. The concept itself has lost its meaning and utility. It has become an obfuscating smear, symptomatic of a wider sloganization of foreign policy debate. It is a slogan fit for the age of Twitter. And it is time to retire it, or at least handle it with care. The cry of isolationism is intended to conjure historical memories, of an earlier time when our forebears naively tried to isolate their countries from world affairs, only to pay a high price in blood. Britain once stood alone against a continent that was dominated by Nazi barbarism, we recall, without allies. That image was captured in Sir David Lowe’s famous cartoon of June 1940, “Very Well, Alone.” Britons derive pride from that memory. Yet, they don’t wish to repeat the experiment. In truth, in May 1940 when it courageously decided not to capitulate to the Axis powers, Britain faced danger yet it was not alone. It was not an isolated offshore minnow but a global empire and Commonwealth that would mobilize millions to its cause. Indeed, a more complex mix of policies have long characterized its diplomacy. Last year, members of Jabhat al-Nusra, al-Qaeda’s Syrian affiliate, dug a tunnel leading to the Syrian Air Force Intelligence building in Aleppo and detonated a massive bomb in an attempt to destroy the facility. Reported globally, this event was by no means a rarity in the ongoing Syrian civil war. As Benjamin Runkle warned last year, the United States and its allies must prepare for the subterranean future of warfare. His article was a broad and useful overview of the various threat actors using tunneling to negate the advantages that airpower and other technologies provide to Western militaries. As America increases its military involvement in Iraq and Syria, a more detailed look at the military significance of such structures is warranted. As of February of this year, there were nearly 4,500 U.S. troopsin Iraq. With the recent announcement of additional deployments to Syria, thousands of American troops there will likely be in Iraq for the foreseeable future. Regardless of the merits of further intervening in the conflict, it is a fact that the United States and its allies are sending increasing amounts of troops to the region. Whatever the intentions of American leaders, this expanded presence is almost certain to result in greater contact with a variety of hostile forces. Al-Nusra, the Islamic State of Iraq and the Levant (ISIL), the Syrian government, and other factions in the war have all used tunnels to great effect throughout the conflict. U.S. and allied militaries must thus understand and prepare for subterranean warfare. The prime minister’s dismissal had more to do with policy than personality. The recent resignation of Turkish Prime Minister Ahmet Davutoğlu has been seen primarily as Turkish President Recep Tayyip Erdoğan’s attempt to increase his power, concentrating it in the presidency. Inherent in this interpretation is the assumption that there were no vital policy issues dividing Erdoğan and Davutoğlu. That in turn is based on a reading of Erdoğan as primarily enhancing his power toward no end beyond increased power. Following this theory, Davutoğlu, a milder figure with far less ambition, was simply a pawn in Erdoğan’s game. Davutoğlu had ideas, but lacked the will to implement them. Politically, he was a non-entity. Examining the personal characteristics of political leaders is a well-known pastime for analysts. It allows neutral observers to avoid thinking of what their real motivations are and for their political enemies to sketch a picture of evil. His supporters’ vision of the same man as a saint is always less compelling. In all likelihood, neither his enemies nor his supporters have known him long enough to have a qualified opinion, but at least that allows them to meet on a level playing field. Such analysis of political figures serves another purpose. By focusing on his personality and declaring it to be pathological, they can avoid the difficult task of figuring out what he is trying to do, by dismissing any motive beyond self-love. Self-love is always present in political leaders, as well as reporters. But in both, the motives are always far more complex. In the current circumstance of Turkey, it has to be more complicated. Let’s consider the obvious. The Sunni Islamic world is being swept with an intense wave of both religiosity and political radicalism. Modern Turkey was founded as a militantly secular state nearly a century ago. It retains a substantial secular population and that population might have more weight if Turkey hadn’t been rejected by the EU. But it was. Therefore, the energy of the Sunni rising is a reality Turkey must address. In the long run, increased productivity is one of the most important components of economic growth. Productivity measures the relationship between output and hours worked. The more efficient economic activity becomes, the more goods and services the economy can produce. Nevertheless, America’s labor productivity growth has been slowing down over the last few years. 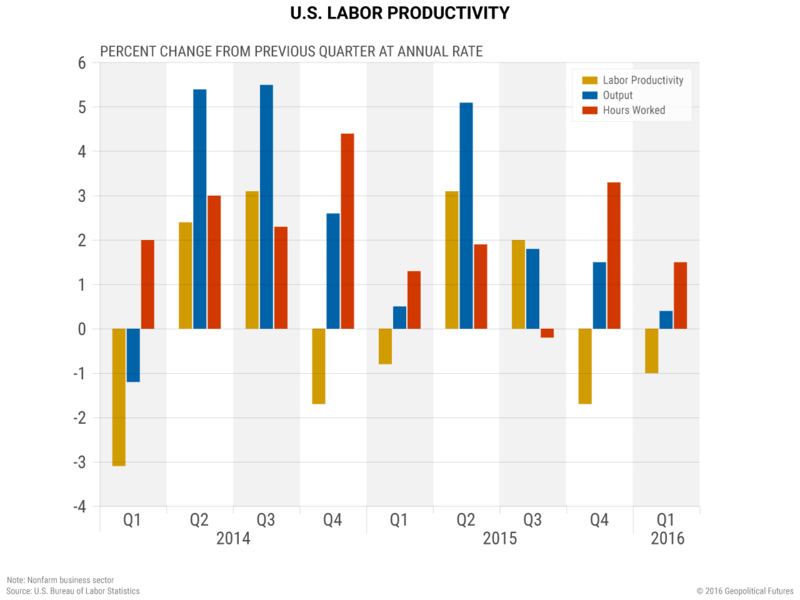 As you can see from the U.S. Bureau of Labor’s latest data, five of the past nine quarters have seen labor productivity fall compared to the previous quarter in annual terms. In four of these quarters, productivity fell not because economic output declined, but rather because the number of hours worked grew much faster than output. These declines, as well as the overall trend of slowing labor productivity growth in the U.S., can be attributed to two main factors. First, over the past decade and a half, innovation has slowed down: investment in research and development began declining in the early 2000, and start-ups as a proportion of all businesses decreased. Satellite views of the ancient ruins of Palmyra in Syria suggest that Russia is building a military base on top of a World Heritage Site, possibly breaking international law protecting antiquities. 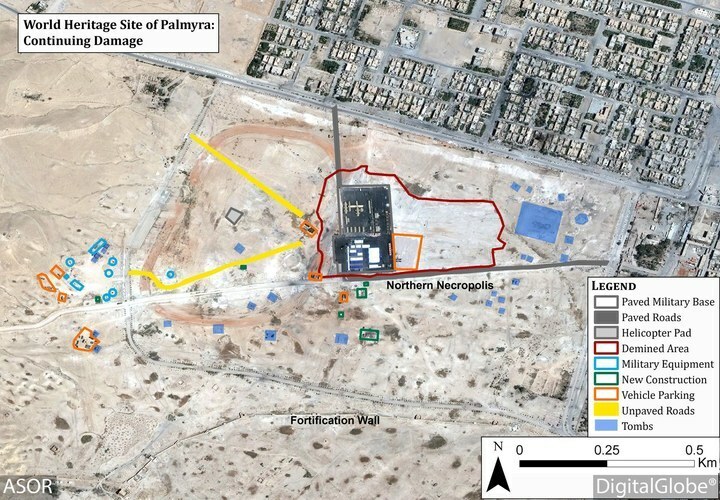 The Russian base includes air defenses and armored vehicles, along with a newly constructed helicopter pad, notes a Monday report from the American School of Oriental Research (ASOR) Cultural Heritage Initiative, noting new images released by DigitalGlobe, a private group that provides satellite imagery. THE MILITARY BASE SPRANG UP BETWEEN THESE TWO SATELLITE PHOTOS BEING TAKEN ON MARCH 30 AND MAY 10TH. It was recently made public that U.S. Navy Lt. Cmdr. Edward Lin was arrested by the Naval Criminal Investigative Service on September 11, 2015, and is in pretrial confinement charged with passing secrets to a foreign government, patronizing prostitutes and committing adultery (the latter being a crime under military law). Lin pleaded not guilty, and it has not been revealed whether Lin passed, or attempted to pass, classified information to either Taiwan or China—and just recently, several media reports claim an undercover FBI agent may have been involved. However, since Lin is of Taiwanese heritage, Taiwan’s National Security Bureau quickly disavowed any knowledge, as you would expect, and the People’s Republic of China’s government provide a comment similar to “Who? Never heard of him!”—also as would be expected. Lin’s arrest is a stark reminder that traditional espionage is ongoing, and despite such a global focus on securing computer systems in the wake of (alleged) Chinese hacking of the Office of Personnel Management, Edward Snowden’s theft of National Security Agency data, Bradley Manning’s release of classified information to the website WikiLeaks and several others, we must continue and renew the focus on countering all of the foreign intelligence methods used to obtain U.S. information. GEOINT: The National Geospatial Intelligence Agency (NGA) will be joining the Defense Department in Silicon Valley this summer, director Robert Cardillo says. The new office will be called “NGA Outpost Valley,” a more euphonious name than thePentagon’s unwieldy DiuX. “It’s a beachhead that will have the authority to reach out to allinnovation centers,” Cardillo told a packed hall here. The GEOINT conference has an estimated 4,000 attendees, down from 5,000 last year. In a Q and A session with reporters after his speech, Cardillo told me he would not be moving to Silicon Valley without his “partners” — he didn’t name them, but that would be NSA and NRO. His “bosses” on Capitol Hill and at the Office of Director of National Intelligence (ODNI) would not allow him to do that, he said. Also, Cardillo made clear he’s absorbed the lessons that DoD has learned in setting up the DiuX. The people he will send there have experience in both Silicon Valley and NGA. NGA’s outreach will be led by Peter Highnam, former IARPA director (the IC’s version of DARPA), who is now NGA’s research director. From the time we began reporting on the archive provided to us in Hong Kong by NSA whistleblower Edward Snowden, wesought to fulfill his two principal requests for how the materials should be handled: that they be released in conjunction with careful reporting that puts the documents in context and makes them digestible to the public, and that the welfare and reputations of innocent people be safeguarded. As time has gone on, The Intercept has sought out new ways to get documents from the archive into the hands of the public, consistent with the public interest as originally conceived. The first measure involves the publication of large batches of documents. We are, beginning today, publishing in installments the NSA’s internal SIDtoday newsletters, which span more than a decade beginning after 9/11. We are starting with the oldestSIDtoday articles, from 2003, and working our way through the most recent in our archive, from 2012. Our first release today contains 166 documents, all from 2003, and we will periodically release batches until we have made public the entire set. The documents are available on a special section of The Intercept. Although the mule might have taken a kick, it didn’t roll over. DONKEY still found a way to fly, the only MOL system that did. In summer 1964, Colonel John Copley, who had previously worked on the National Reconnaissance Office’s signals intelligence satellites at Los Angeles Air Force Base, was assigned to the MOL program at Air Force Headquarters. Copley was given the task of determining if there were signals intelligence applications for MOL, and in February 1965 he apparently focused on a specific mission. One idea—it is unclear if Copley came up with it or merely evaluated the proposal—was for a communications intelligence (“comint”) payload to intercept signals from a Soviet microwave communications system used by both civilian and military sectors. The precise target system remains classified, but it apparently consisted of a network of transmitters throughout the Soviet Union. Copley determined that intercepting the transmitters’ main beams would be difficult, but that collecting from their sidelobes, which radiated out from a transmitter from its sides like the feathers on a peacock, would increase intercept times while a satellite was overhead. In best case, it could gather enough information to determine what was being transmitted over the network, at least while the MOL was overhead. Recent headlines warn that the government now has greater authority to hack your computers, in and outside the US. Changes to federal criminal court procedures known as Rule 41 are to blame; they vastly expand how and whom the FBI can legally hack. But just like the NSA’s hacking operations, FBI hacking isn’t new. In fact, the bureau has a long history of surreptitiously hacking us, going back two decades. That history is almost impossible to document, however, because the hacking happens mostly in secret. Search warrants granting permission to hack get issued using vague, obtuse language that hides what’s really happening, and defense attorneys rarely challenge the hacking tools and techniques in court. There’s also no public accounting of how often the government hacks people. Although federal and state judges have to submit a report to Congress tracking the number and nature of wiretap requests they process each year, no similar requirement exists for hacking tools. As a result, little is known about the invasive tools the bureau, and other law enforcement agencies, use or how they use them. But occasionally, tidbits of information do leak out in court cases and news stories. A look at a few of these cases offers a glimpse at how FBI computer intrusion techniques have developed over the years. Note that the government takes issue with the word “hacking,” since this implies unauthorized access, and the government’s hacking is court-sanctioned. Instead it prefers the terms “remote access searches” and Network Investigative Techniques, or NIT. By whatever name, however, the activity is growing. While senior leaders and scholars continue to debate the merits of the term and its defining characteristics,7 NATO appears to be in danger of missing the most obvious aspect of hybrid warfare and what it demands. As the term implies, hybrid warfare fundamentally involves an integrated mix of previously separate instruments of power, whether military, diplomatic, intelligence, covert, informational, or other capabilities. An effective response to a multidimensional threat requires an equally well-integrated, multidimensional solution. To successfully adapt in response to Russian hybrid warfare, NATO needs a new cross-functional command and control mechanism that can quickly integrate the Alliance response across its multiple bodies of functional expertise. First there was counterinsurgency; then there was Wide Area Security (WAS). And the U.S. Army as an institution hates WAS. There is no glory in conducting presence patrols or building critical infrastructure, particularly after two unsatisfying (and still ongoing) wars that involved a great deal of both to little effect. The Army’s bias against these types of operations is far older than Iraq and Afghanistan, and it has forced the Army to repeatedly relearn these tasks in combat, like a football team learning how to play defense during each game. The U.S. Army War College Carlisle Scholars Program continues the bias against security operations in its Elihu Root study, The Total Army. The study’s recommendations include several that would surely allow the Army to improve itself; in particular, the recommendation to replace Army Service Component Commands with deployable corps headquarters. Yet the study misses the mark with one of its key recommendations regarding WAS. The study proposes a scheme called “proponency by componency” that would assign the active-duty Army responsibility for combined arms maneuver — think the invasion of Europe in World War II or the 100 hours of ground war in Desert Storm. It would then assign the reserve and National Guard responsibility forWAS, which encompasses everything from counterinsurgency to securing the rear area. The study’s authors, most of them U.S. military officers, claim that this reorganization will maximize the agility of the total Army and preserve proficiency in both combined arms and WAS. This proposal creates a whole host of problems about transitioning from combined arms to WAS and training requirements, and its implementation would place a significant strain on the reserve component, ultimately causing retention issues. There were celebrations in Morocco and congratulatory statements from across the world on December 17, 2015, when a group of Libyan leaders finally signed an agreement to end the political crisis that had torn apart the country since late 2013. To date, that political agreement has not been implemented, despite its promise of political reunification, economics stabilization, and substantial international security assistance. Continued delays in implementation undermine the agreement’s legitimacy and increase the risk of further deteriorating stability. There are many barriers to implementation, including the fact that Libyans have not engaged in a national reconciliation process to overcome the grievances and mistrust built up over four decades of dictatorship and years of internal turmoil since 2011. Internal rivalries based on region, city, tribe, political factions, ethnicity, and militia membership have supplanted dictatorial repression. The costs of this multi-layered disunity are stark: Libya has lost billions of dollars in potential revenues due to fights over control of the oil sector. And nearly 5,000 people have been killed due to the instability since 2014, when Libya formally divided politically.